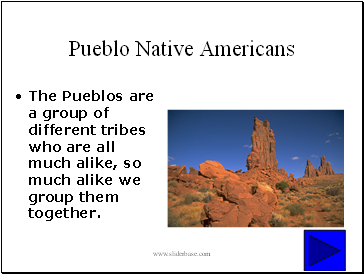 The Pueblos are a group of different tribes who are all much alike, so much alike we group them together. 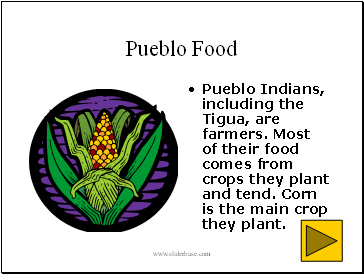 Their name, Pueblo, is Spanish and means "town". 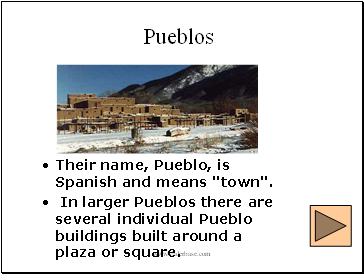 In larger Pueblos there are several individual Pueblo buildings built around a plaza or square. 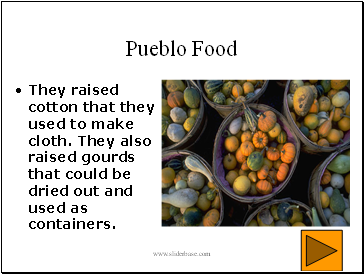 Many Pueblos had hundreds of people living in them. 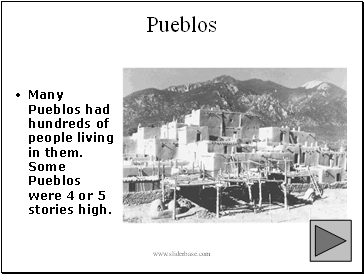 Some Pueblos were 4 or 5 stories high. 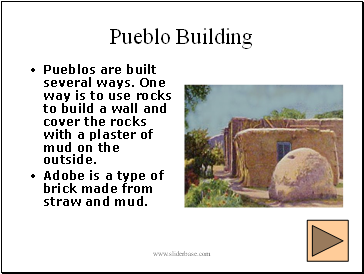 Pueblos are built several ways. One way is to use rocks to build a wall and cover the rocks with a plaster of mud on the outside. Adobe is a type of brick made from straw and mud. 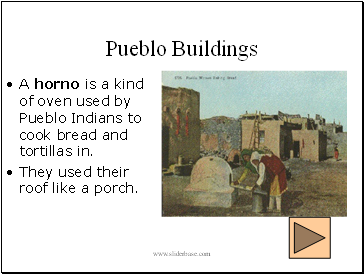 A horno is a kind of oven used by Pueblo Indians to cook bread and tortillas in. They used their roof like a porch. They stored and cooked their food in well-made pottery. 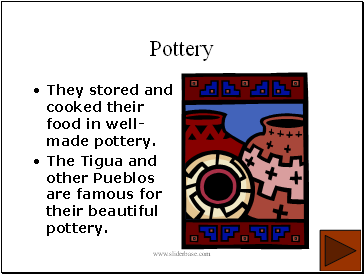 The Tigua and other Pueblos are famous for their beautiful pottery. The dry land made it hard to farm. 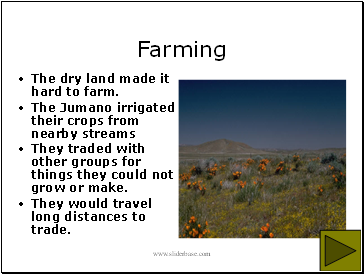 They traded with other groups for things they could not grow or make. They would travel long distances to trade. The men cleared the fields and prepared the soil. The women did most of the farming. They used sharp sticks to poke holes in the dirt and put seeds in each hole. 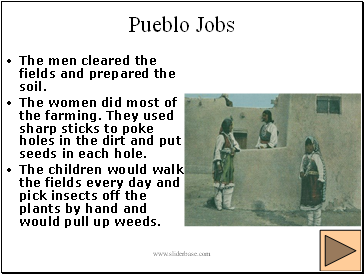 The children would walk the fields every day and pick insects off the plants by hand and would pull up weeds. 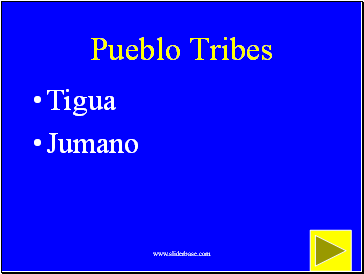 Pueblo Indians, including the Tigua, are farmers. Most of their food comes from crops they plant and tend. Corn is the main crop they plant.